SHE'S just conquered Mt Everest for the second time in her young life but despite the extraordinary achievement, there's no chance you'll catch 21-year-old Alyssa Azar resting on her laurels. 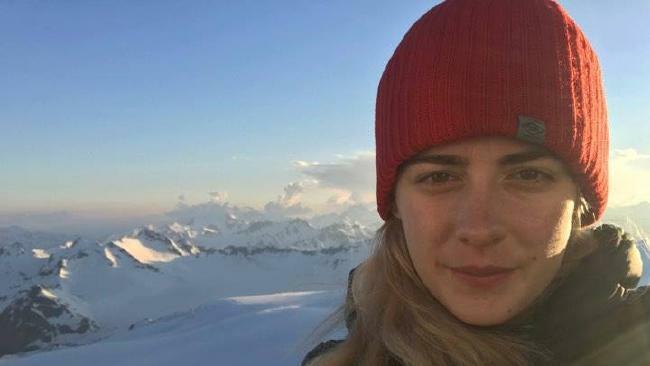 The remarkable woman became the youngest Australian to scale Mt Everest two years ago at the age of 19, and she defied the odds again this year in May, making it back to the top of the world's highest mountain. In the weeks since returning home, Alyssa hasn't missed a beat, working tirelessly on the adventure business she co-owns with dad Glenn and planning climbs to Mt Kilimanjaro in Africa, Mt Elbrus in Russia and Mt Aconcagua in Argentina. Alyssa is no stranger to conquering mountains - only two months ago on May 19 at 7.30am, she was standing on the top of Mt Everest for the second time in her young life, watching from 8848m as the sun rose over the Himalayas. Having previously summited Everest from the southern Nepal route two years earlier, Alyssa this time took the less-travelled northern route from Tibet and her arrival at the top of the mountain was the culmination of a remarkable journey that began long before she ever laid eyes on Mt Everest. Her journey to the top of the world began more than 9000km away and more than a decade earlier, when, aged six, the little blonde Toowoomba schoolgirl asked dad Glenn if she could hike the Kokoda Track with him in Papua New Guinea. After months of pestering, Glenn Azar, a former army medic who this month did his 70th crossing of the Kokoda Track, agreed she could do the trip but only if she stuck to a year-long training program to prepare. 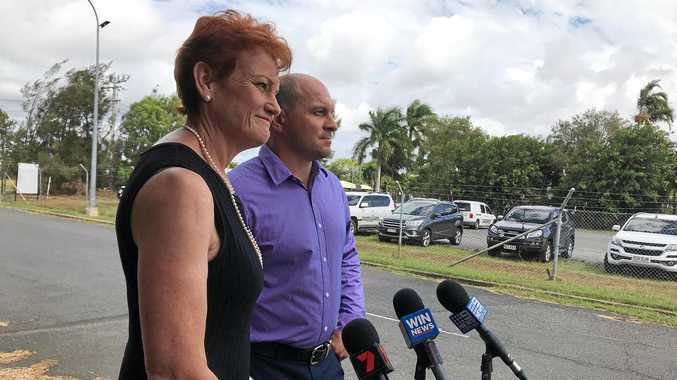 "I look back now and, to be honest, I'd probably be a normal parent and say no given I've seen adults really struggle on Kokoda," Glenn said. "But I saw the training she put in even at that age, she was so persistent and trained really hard, she was always in the gym with me, sometimes at 4.30am." That dogged commitment saw Alyssa become the youngest person to walk the Kokoda Track at the age of eight before going on to tackle prominent treks and climbs, including Everest Base Camp and Mt Kilimanjaro in the years that followed. Alyssa Azar climbing Mount Everest. It was on the walk back down from the 5895m summit of Africa's highest mountain that 14-year-old Alyssa turned to her father and uttered the life-altering words - "Dad, I want to climb Mt Everest". Sitting on the steps of the Albion gym where she trained for her second Everest attempt, Alyssa recalls the first time she ever saw Mt Everest, or Sagarmatha as it's known in Nepal. "Whenever we could, Dad and I would do a trek and two years after Kokoda it was Everest Base Camp and you see the mountain on the second day of the trek and getting to see it was a pretty big deal," she said. Together Alyssa and Glenn began researching what it would take to conquer Everest, an expedition which has claimed the lives of hundreds of climbers and whose coveted summit has alluded even more. "I said we need to research everything that has ever gone wrong because it's easy to have a dream of standing on the mountain but what happens when anything under that is considered failure or life-threatening," Glenn said. "I had to ask, 'are you willing to potentially lose fingers and toes, are you willing to die? ', and that's a tough conversation to have with a 14-year-old but this is also a 14-year-old who wants to put herself in this situation so you can't lie to them about the dangers." In 2014, at age 17 and after years of preparation, Alyssa experienced that danger first hand when, on her first attempt to climb Everest, an avalanche tore down the mountain, tragically killing 16 Sherpas and cancelling the climbing season. On her next attempt the following season in 2015, Nepal was struck by a disastrous 7.8 magnitude earthquake, killing almost 9000 people, including 19 climbers at Everest base camp which was struck by an avalanche. "If anything it made me train harder because I knew if I got any sort of window, even a small one I want to try and take that opportunity," Alyssa said. Finally in 2016, aged 19, and on her third season on the mountain, Alyssa made it to the elusive summit, making her the youngest Australian to reach Everest's peak. It was a relief for Glenn who said his greatest fear for Alyssa wasn't the physical danger. "My only fear was what if she gets to 7500 or 8000m in perfect weather and realises she's just not good enough because that happens - you don't know if you're good enough until you're there," he said. Glenn and Alyssa, now based in Brisbane, run The Adventure Professionals, offering guided trips to some of the most coveted treks and climbs on the planet. Next month Alyssa will lead a group up Mt Kilimanjaro, with further trips to Everest Base Camp, Russia and Argentina scheduled. About a year after her first summit, Alyssa's mind kept wandering back to Everest and she eventually decided to try tackle it from the northern route, from Tibet - a treacherous, more isolated and bitterly cold option, generally considered much harder than the southern side, with an aggressive acclimatisation schedule, a lower success rate and no option of helicopter rescue. 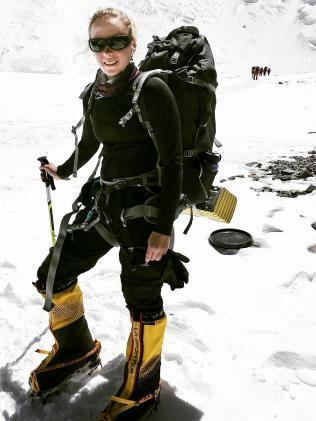 "A lot of people couldn't understand why I wanted to go back but I guess just having been fascinated with Everest for so many years, I wanted to experience a different side of the mountain and that was a big motivator for me," Alyssa (pictued on Everest and, inset, with dad Glenn) said. Leaving for the final summit push in May at 8pm in minus 60-degree weather, Alyssa, her two companions and three Sherpas climbed through the night before spotting that rainbow of red, yellow, green and blue prayer flags atop the mountain. "It was so surreal - you're just focusing one foot in front of the other for hours and you look up and there it is. The view is incredible." On the other side of world, Glenn was leading a group on the Kokoda Track when he received the news. "Probably the best thing that's happened for Alyssa since summiting as it's taken all this pressure off her - people used to say 'is it because of your dad that you do this' because she started on Kokoda but she surpassed me when she was still a teenager," he said. "Our personal motto between the two of us has been 'we'll say what we'll do and then we'll do what we say' and she's certainly done that chasing her dreams."